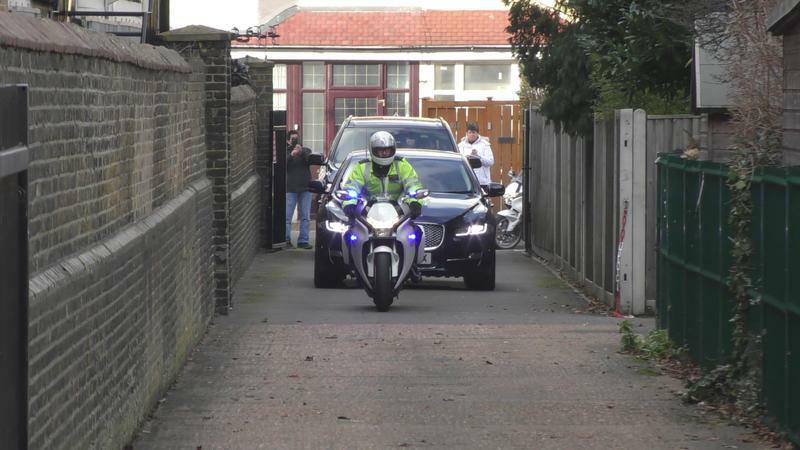 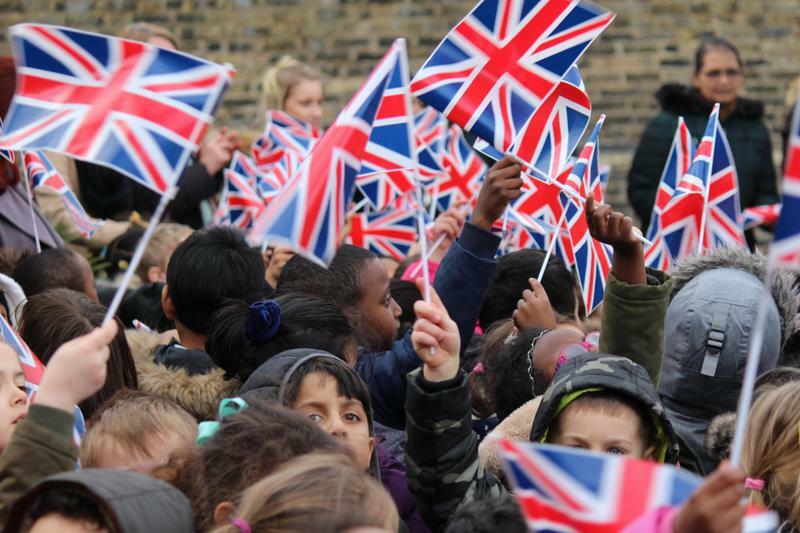 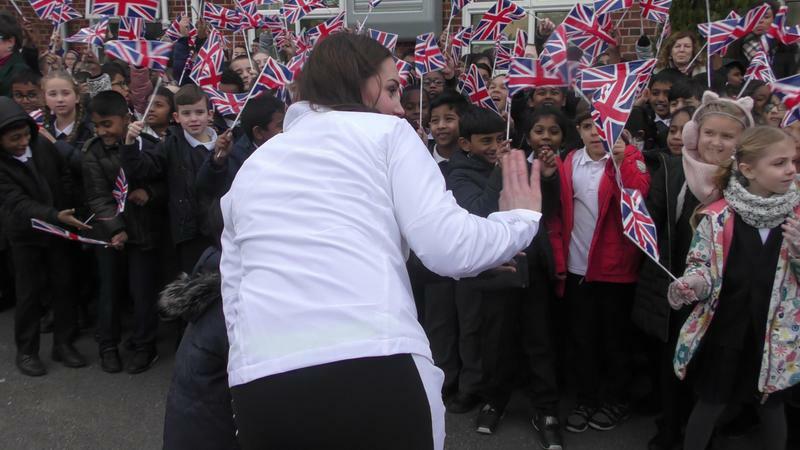 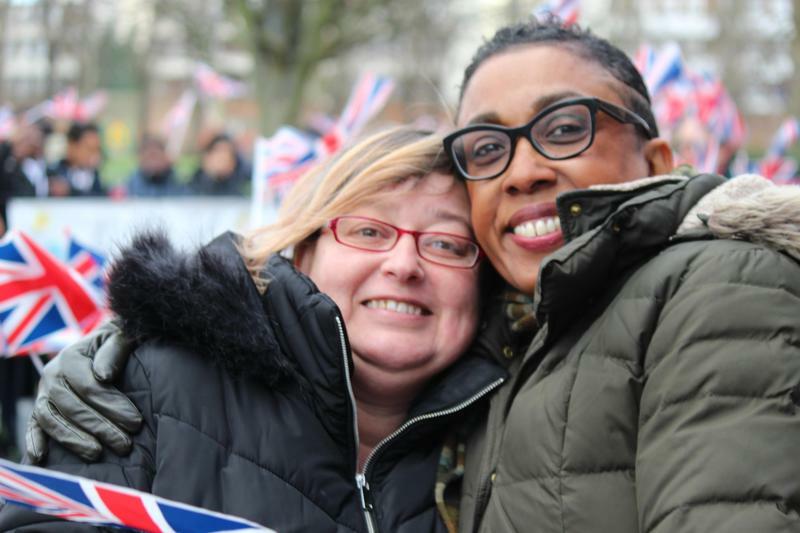 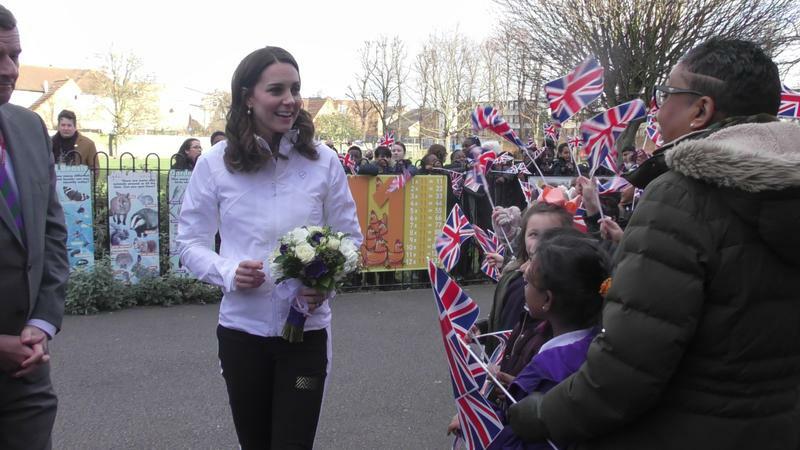 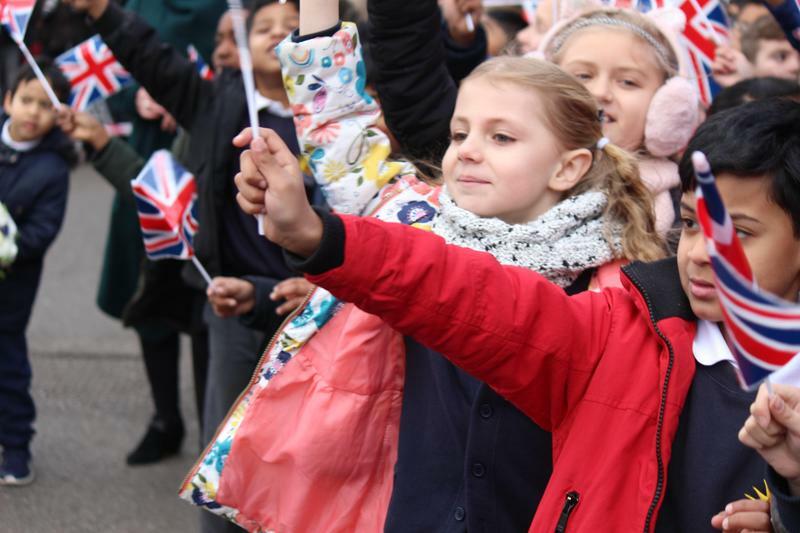 The spirited claps and cheers echoed down Bond Road as our pupils and staff, equipped and ready with flags and smiles, greeted the royal motorcade as it pulled in through the school gates. 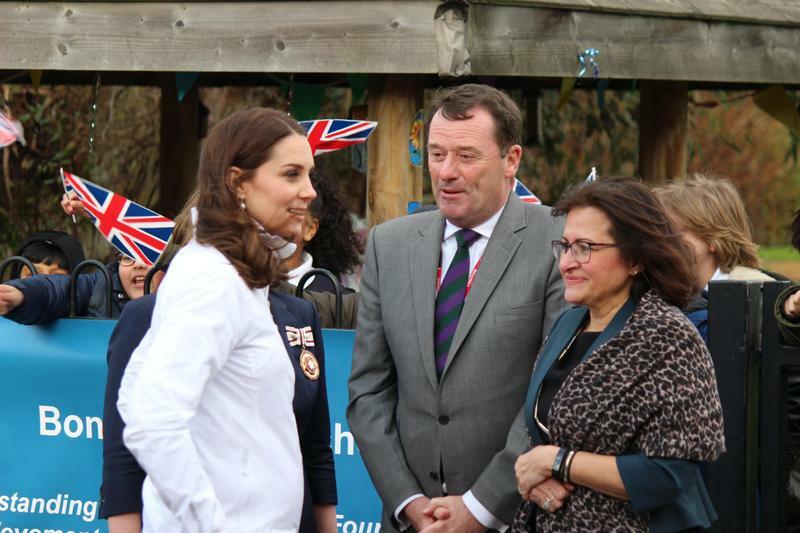 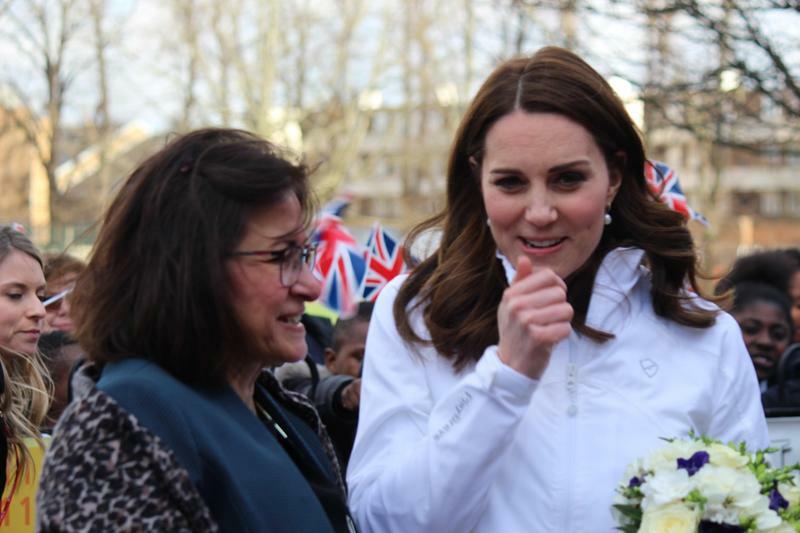 Throughout the week, pupils and staff had been preparing for our visit from Her Royal Highness, The Duchess Of Cambridge, and when the day finally arrived there was an exciting buzz throughout the building. 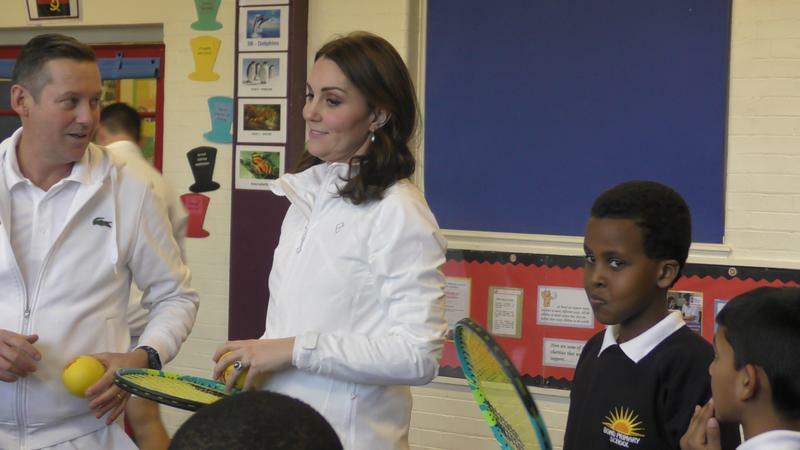 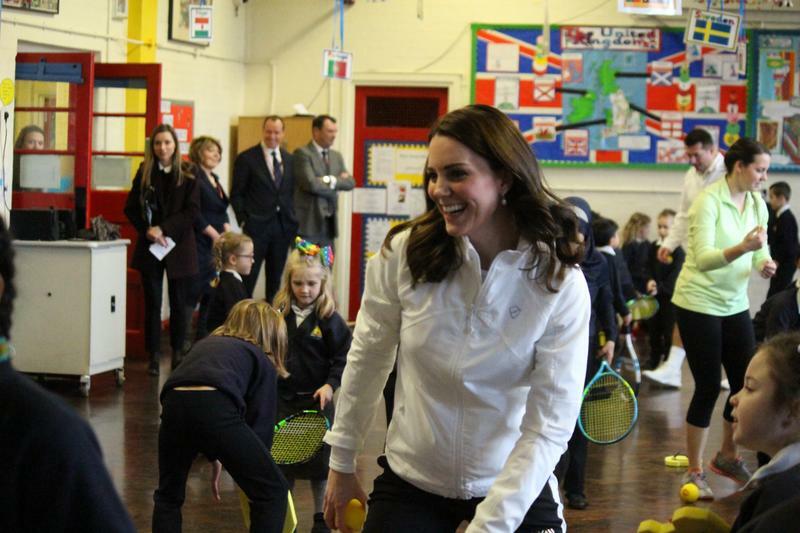 Her Royal Highness came to witness and take part in the Wimbledon Junior Tennis Initiative, a community tennis project run by the All England Lawn Tennis Club, alongside our energetic pupils from all year groups. 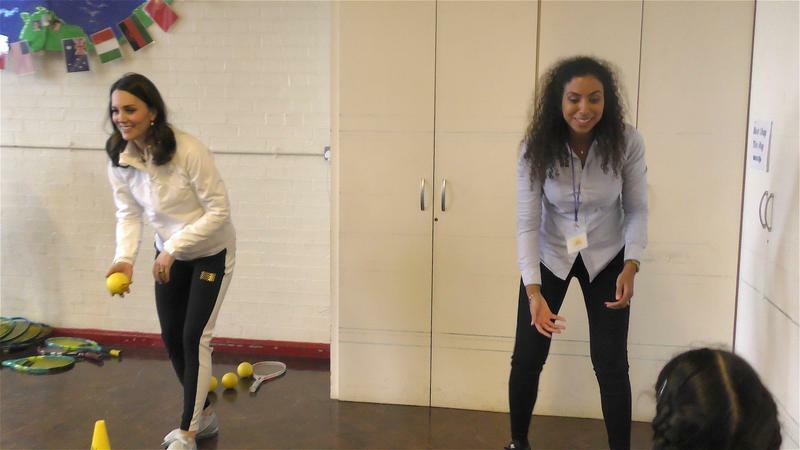 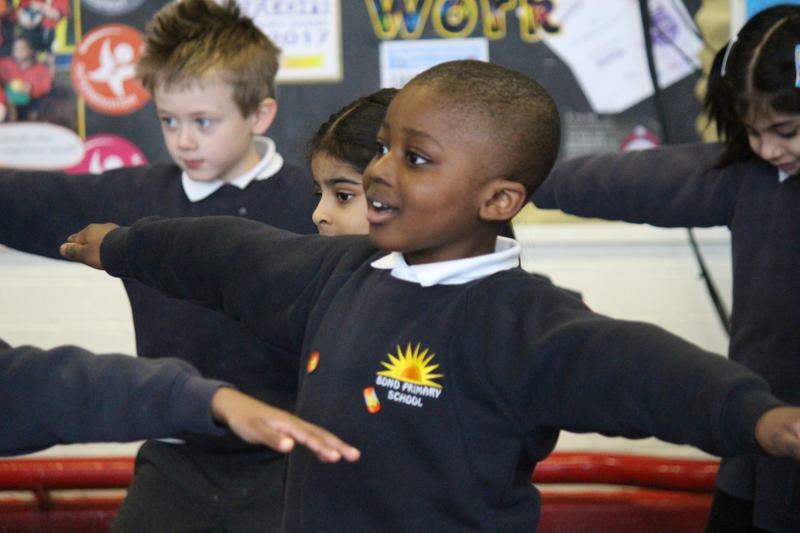 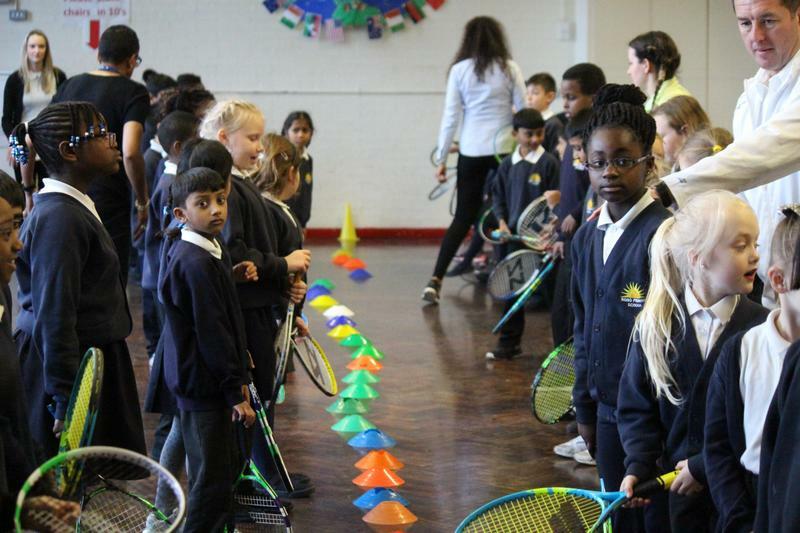 Through this programme, and high quality coaching led by the Head Coach, Dan Bloxham, our children have been encouraged to enjoy sport, keep fit and healthy and learn the skills of tennis. 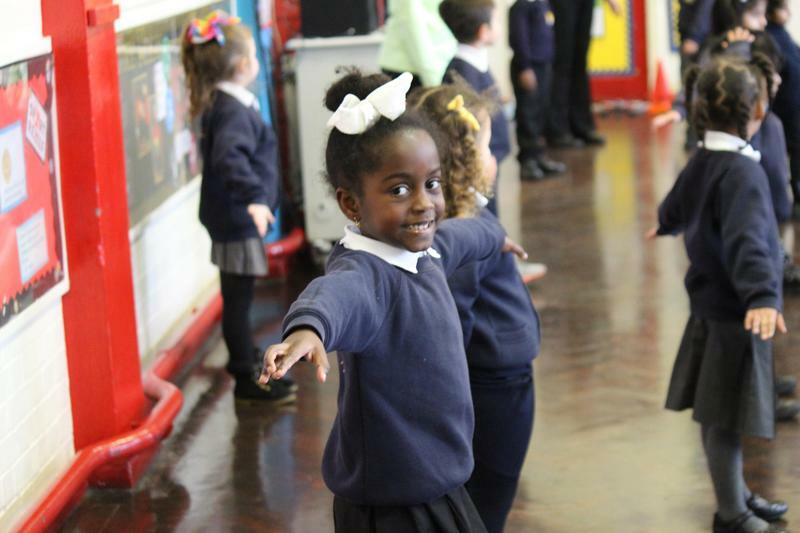 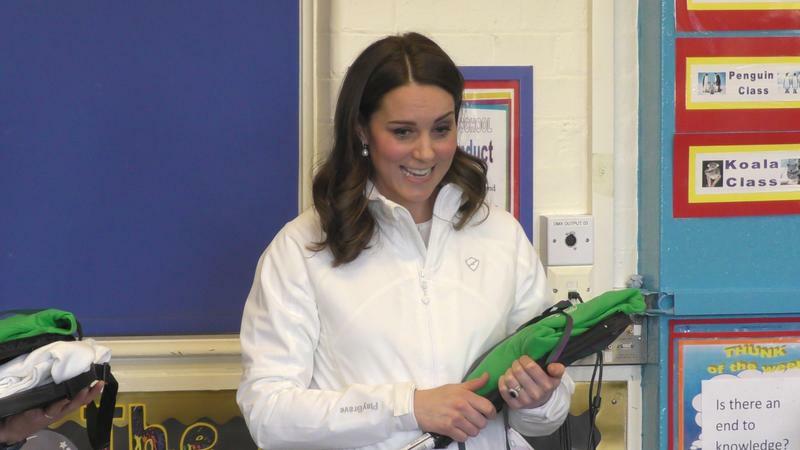 Not only did Her Royal highness partner with pupils to practise balancing and her catching techniques, she was also on hand to give out hugs and high fives to all pupils as they left their session. 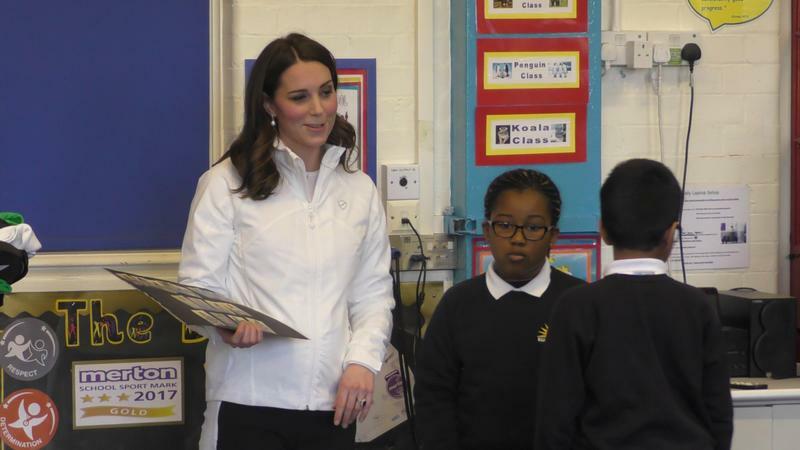 Finally, as a 'Thank You' to Her Royal Highness for her visit, pupils presented her with a special personalised Bond card and tennis memorabilia for her and her two children, Prince George and Princess Charlotte. 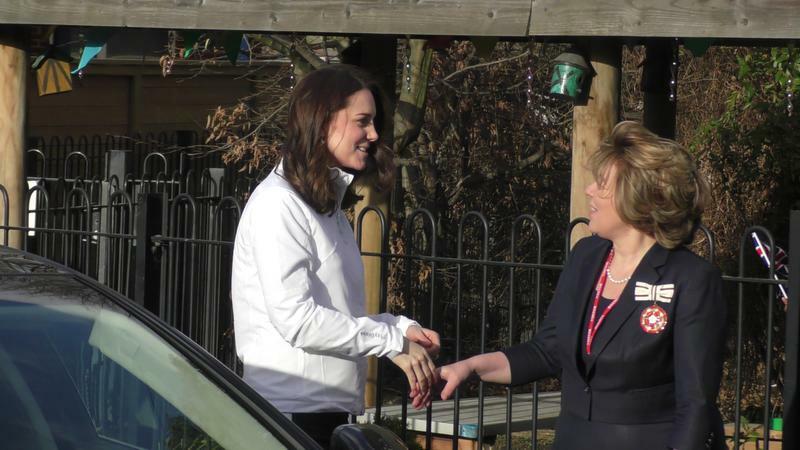 It was a wonderful active afternoon and our pleasure to have welcomed such a special and unforgettable guest.